Plants vs. Zombies Heroes is the card-battling new addition to the PvZ franchise. 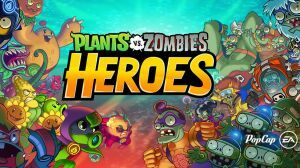 Collect and choose from 20 different Plant and Zombie Heroes from across the PvZ universe as you unlock their unique super powers and build your ultimate battle team. No discussions open for Plants vs. Zombies Heroes at the moment.